All offseason long I have been talking about how I think the Twins will win the central division. While a few things will definitely have to break their way, I am standing by that claim in this preview. I mean even MLB Network host Harold Reynolds projected the Twins would win it. The last few seasons for Twins fans and players have been either extremely bad or extremely mediocre. They will need to take a big step this year, but I believe with the offseason moves they’ve made as well as a few breakout potential players that jump is a real possibility. In 2018 the Twins were fresh off of a wild card birth. Everything was looking up but then they finished with a 78-84 record, 2nd place behind the Indians in the central. Read more about that by clicking here. •Nov 30th: Twins sign 1B C.J. Cron for 1 Yr/$4.8 million. These moves all will play a large role in determining how far the Twins can go this year. This offseason was sneakily one of the best ones in all of baseball. Cruz is an ageless all star, Schoop is a former all star, Cron is off a 30 homer season, Gonzalez can play literally anywhere, Parker is a solid late innings guy and Perez could be a sneaky addition. 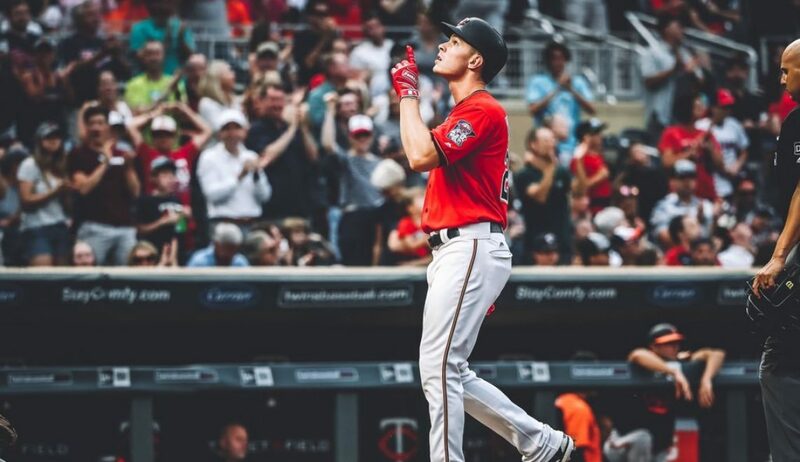 The Twins are projected as an 82-80 team by Fangraphs in 2019. My argument with these projections is that most of them have guys like Buxton, Sano, Kepler, Polanco and both catchers having an average to below average season. Of course it also has Berrios and Gibson finishing with an ERA over 4.00 so yeah I doubt that happens. Alright, I have a rare amount of optimism for this season to go well for the Twins. This is the year we finally see Buxton, Sano, Polanco, Kepler, Berrios and more find their stride, and they’ll do it next to the star power of Nelson Cruz and Jonathan Schoop. The lineup will obviously be good and both the rotation (14th) and the bullpen (12th) will be above average (according to Fangraphs). I have been saying on my Twitter @MnTwinsTalk18 that I believe the Twins will have a top 10 bullpen. Taylor Rogers, Trevor May, Blake Parker and Trevor Hildenberger are four guys I expect to have impactful seasons. They have all shown the ability to be solid now if they can do it at the same time it will be great. The rotation being led by Berrios and Gibson is very good. Berrios is a young pitcher poised to break through to stardom soon while Gibson was quietly the best pitcher on the team last year. The next to guys will both be able to be average to above average and they are Jake Odorizzi and Michael Pineda. The fifth spot will be needed by late April and that will go to Martin Perez. Perez will be very interesting. He is someone who had a horrible year in 2018 (6.22 ERA) but the Twins with new pitching coach Wes Johnson think they can fix him. It has shown a little bit in spring training, now we just need to see if that was a fluke. The lineup is the best part of this team by far. Starting with the catching duo of Castro and Garver, both have at least average offense for a catcher and it looks like Garvers defense is improved a lot. If both guys can stay healthy the Twins could have a fun dynamic catching situation. The infield is the strongest spot when it comes to offense. Cron at 1B, Schoop at 2B, Polanco at SS and Gonzalez/Sano at 3B could give off some fireworks. While the defensive side of it isn’t perfect, it won’t have to be because the offense will do more than enough to balance it out. The outfield should be insanely fun. The speedy, energetic, gold glove trio of Rosario, Buxton and Kepler should hopefully get their shot to lead this team to the postseason. Their defense is outstanding and their offense shouldn’t be far behind this season. Expect big breakouts from Buxton and Kepler while even Rosario continues to improve. Yes, I believe the Twins will win the AL central. The Indians will get worse and the rest of the division is just plain bad. For the Tribe, they only won 91 games last year in the best season they will likely see from both Lindor and Ramirez. They certainly got worse this offseason and with Lindor, Kipnis and possibly Ramirez our to start the season, the Twins should hope to jump out early. The twins have a much better lineup and a better bullpen than the Indians will in 2019. The rotation advantage goes to the Indians, but you have to score for that to work.